Card Review: 9.7 I have a soft spot for this set. 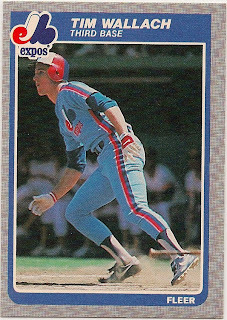 I remember walking to the grocery store with my mother and younger brother in 1985, and I'd get a cello-pack of '85 Fleer and my brother would usually get a candy or ice-cream bar. It was the first year I was really buying cards of my on volition and not having them given to me. I still think this set has held up well, and the colors contrast nicely with the gray borders. As for this card itself, it's really a nice photo, something different from the standard batting or fielding shot. 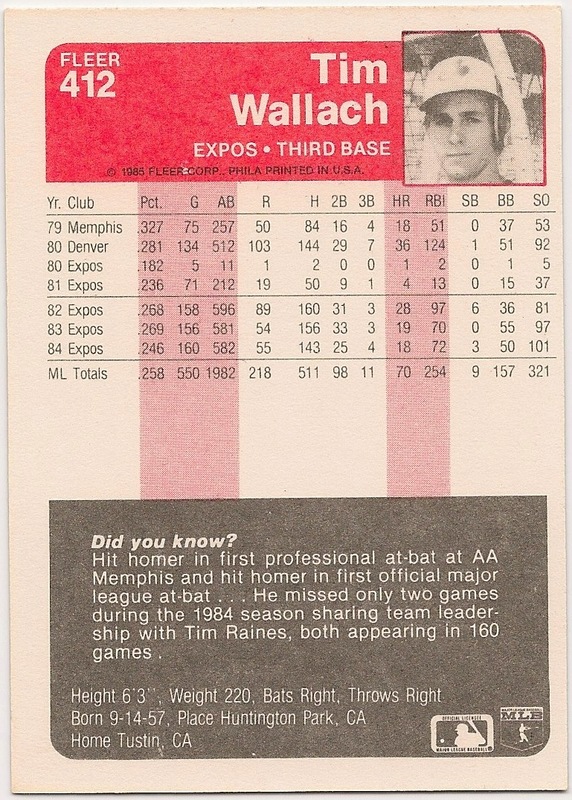 It's one of the better action shots of Wallach to ever show up on a card. 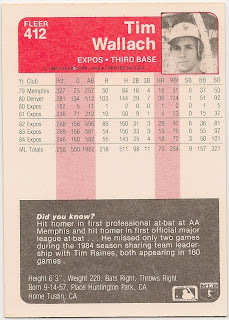 Fun Facts: I'm 95% sure this was the 3rd Tim Wallach card I ever had, after the '83 Topps and '85 Topps. 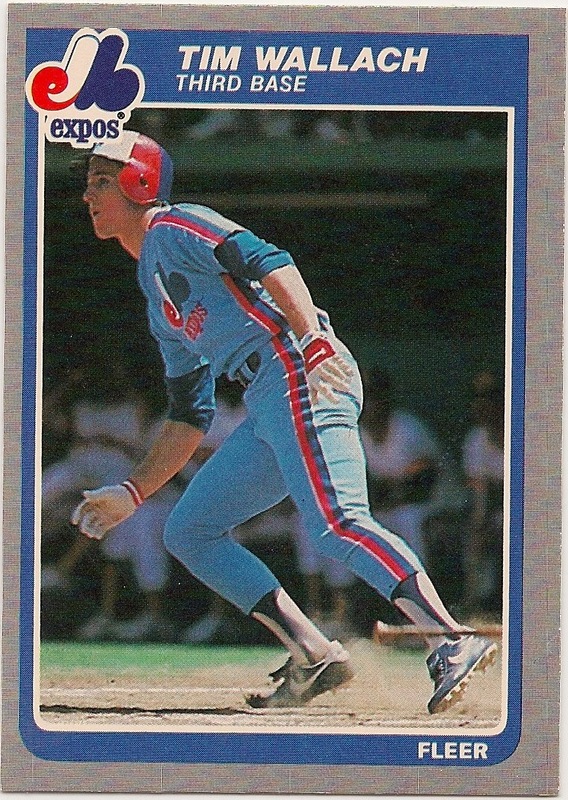 I may of had the '84 Fleer prior to this one, but I don't recall for certain.